You may have noticed that a new folder has shown up in your Google Drive called Team Drive. Google Team Drives are shared spaces where teams can easily store, search, and access their files anywhere, from any device. Unlike files in My Drive, files in Team Drive belong to your team instead of an individual. Even if a staff or faculty member leaves, the files stay exactly where they are so your team can continue to share information and get work done. Team Drive is not meant for all of your documents. Team Drive is for those documents that you as a team regularly use such as your weekly team meeting agenda etc. I have also attached a Getting Started with Team Drive document for you to read with step by step instructions. If you have any questions at all about Team Drive please feel free to contact me. This entry was posted in Uncategorized on May 2, 2018 by Mr. Geiman. Welcome! 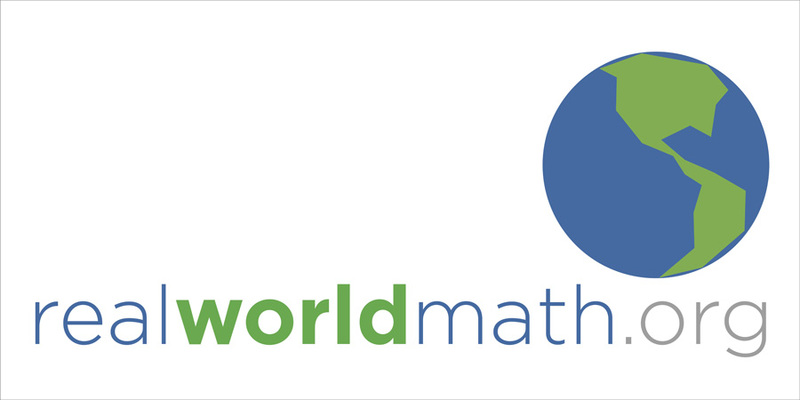 Real World Math is a collection of free math activities for Google Earth designed for students and educators. Take 2 minutes and learn how to use Real World Math in your classroom for free! This entry was posted in Uncategorized on April 17, 2018 by Mr. Geiman. Read below to find out the awesome things that are happening in Mr. Lewis’s 6th Grade math class! Last Friday I had the opportunity to try out an idea in my math class that I have never done before. As with anything new, there was a sense of excitement, anticipation, and anxiety. I had decided to turn my math class into a variation of an “Ed Camp.” An “Ed Camp” is an “Un-Conference” in which the attendees select the topics learned. On Wednesday I had my students fill the whiteboard with ideas they wanted to learn. They picked from three categories. The first category was “Review Material” which included anything from the past that may be a struggle. The second category was “Current” which included anything dealing with algebra, expressions, and equations, which is our current unit. The third category was the “Wild Card” in which students could put anything involving math. This included problem-solving activities like chess and math concepts that we have not learned yet but are found on the math screener. Once the students came up with the list of ideas, I took the ideas and created a menu of options and guidelines for the day (Pictured Below). Since I had so many suggestions I relied on two students lead an extra session. They did great! It seems that my students want this to happen on a regular basis, if not every week! I cannot wait to try it again and continue to grow this activity in my room! This entry was posted in Uncategorized on March 6, 2018 by Mr. Geiman. Google Visits Blue Ball Elementary!!! 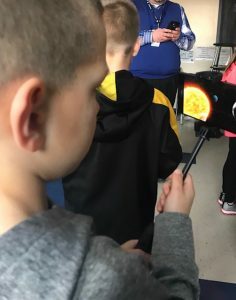 Learners at Blue Ball Elementary in Eastern Lancaster County School District were recently given a once-in-a-lifetime opportunity to participate in a Google pilot program for new technology. 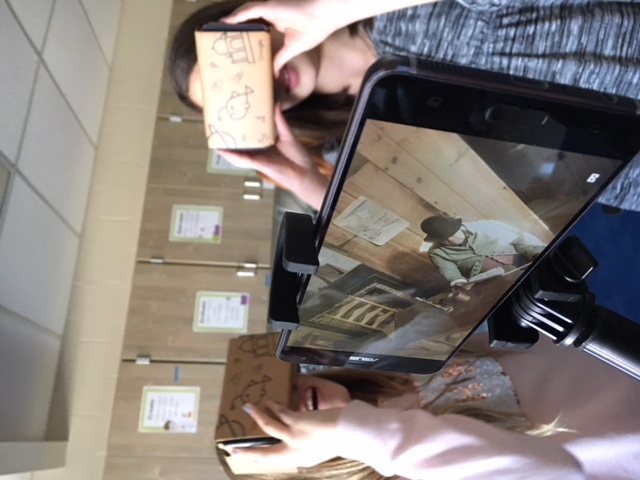 Mr. Adam Geiman, former Blue Ball Elementary teacher and current ELANCO elementary technology coach, applied to the Google Expeditions Augmented Reality Pioneer Program, which allows Google to visit a school and present new technology to the students. Out of thousands of applications, Blue Ball Elementary was selected as a participant. Google visited Blue Ball Elementary on January 31, 2018. 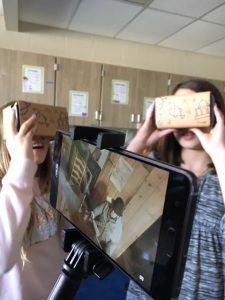 Students and teachers in grades 2 through 6 experienced Google Expeditions, which transported them from the limits of the solar system to the depths of the Caribbean through virtual reality field trips. 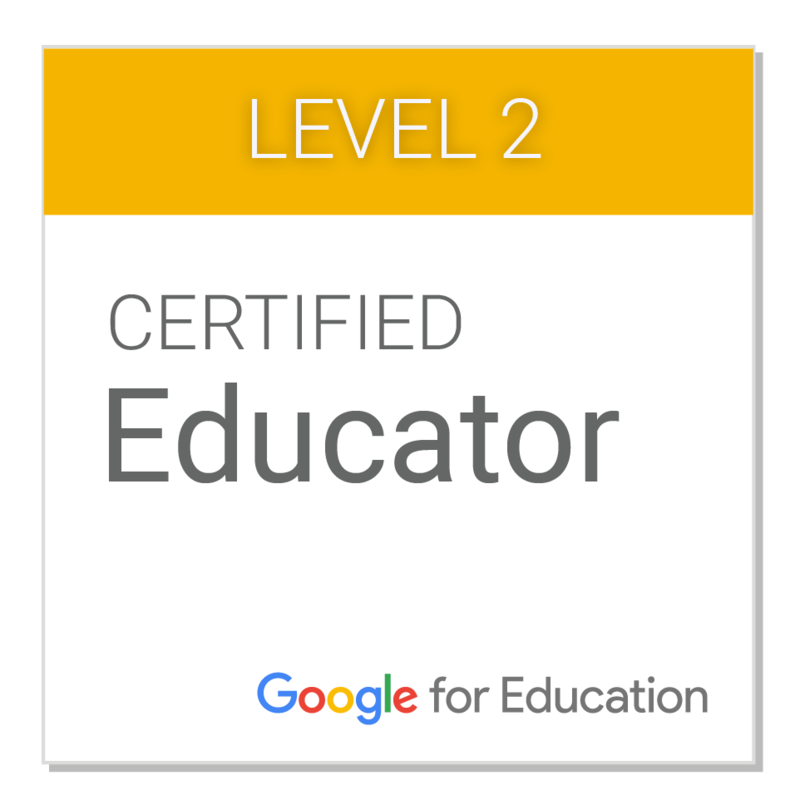 Teachers led the field trips, created by Google, through the use of a guided lesson plan and content-related notes on a tablet. 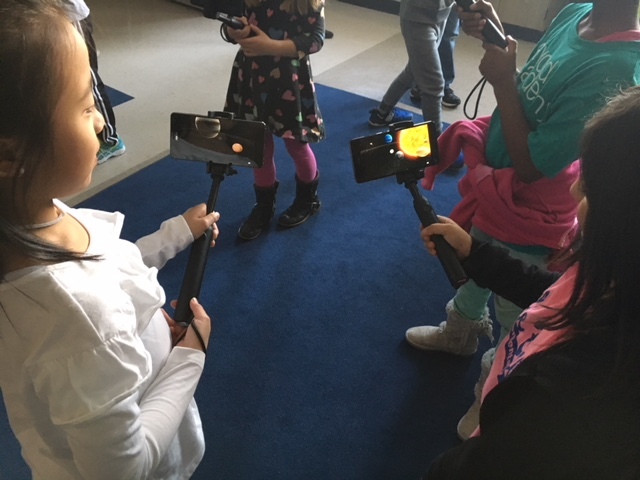 Students used virtual reality goggles and monopod to travel to places they may never have experienced in their lifetime. The teachers, who had volunteered for this opportunity, were excited at the potential applications for their classrooms through this new technology. Mr. Arena a 4th grade teacher at Blue Ball says, “This new technology is a fantastic educational tool which helps create excitement and engagement for a vast amount of topics.” The district welcomed technology coaches from other area school districts to observe this pilot program. Many left with new ideas to bring back to their schools. “I loved seeing the excitement in each student and hearing the wows over and over again from class after class. Students were wowed by what they saw and experienced! Talk about bringing the real world into today’s classrooms. These expeditions provide students with virtual opportunities to travel to places they might never have the experience to see in reality” says Ken Zimmerman, Instructional Technology Specialist at Lancaster-Lebanon Intermediate Unit 13. The learners were thrilled at the chance to travel into the solar system, go under the blue waters of the Caribbean, observe volcanoes, visit historical monuments as they learned about the American Revolution, watch dinosaurs in their natural habitat, and fly through the clouds. “My experience using virtual reality was breathtaking. When I was standing on hot lava looking at an erupting volcano, I knew that I was part of something special! This revolutionary technology has enhanced my learning beyond extent. Being able to explore where George Washington once stood without getting out of my seat is unimaginable. With virtual reality my learning has become more fun and impactful” says Jackson Custer, a 5th grader at Blue Ball Elementary. The visit from Google enhanced and contributed to the district’s global initiative. Google is not yet done at Blue Ball Elementary. The innovative tech company plans to revisit Blue Ball Elementary later in the school year to pilot yet another new technology program – augmented reality. Stay tuned for another update! This entry was posted in Uncategorized on February 2, 2018 by Mr. Geiman. Sources are Cited for you! Annotate features within the articles. Watch the video below to learn more about the basics of Kids InfoBits. If you have any questions about Kids InfoBits you may contact your building librarians, or myself. This entry was posted in Uncategorized on November 20, 2017 by Mr. Geiman. Seesaw just released a new Activities feature. Now you can easily create and share activities for your students to complete in Seesaw. Get inspired with grade-level specific activities from our library, or create your own! Learn how with this video! Make sure to check out these helpful videos along with the other tutorials and resources about Seesaw that are on the ElemTech Blog! This entry was posted in Uncategorized on October 24, 2017 by Mr. Geiman. Click on the link below to see what is new with Culture Grams for 2017! 2017 Back to School Updates!!! Through the use of CultureGrams, our students can travel to exquisite places in the world, researching new cultures, languages, foods, and customs. CultureGrams is a searchable database containing concise, reliable, and up-to-date cultural information on more than 200 countries, all 13 Canadian provinces, and territories, and each U.S. state. This database provides online resources including a worldwide photo gallery, slideshows, video clips, famous people collection, recipe collection, and sortable, create-your-own data tables of selected information. This is a great primary source database used in World Languages, Family and Consumer Science (FCS), Social Studies, and English departments. Students who learned about water in Africa, selected a video in CultureGrams to learn more about how water is collected. Using a video like the one below levels the playing field for many of your students and allows them to fill in gaps in their learning. This entry was posted in Uncategorized on October 5, 2017 by Mr. Geiman. BrainPOP is a great educational tool to help engage & motivate student learning independently, in small groups, and within the direct instruction. Investigate the multitude of topics/units in Science, Math, Social Studies, English, Health, Arts & Music, and Engineering/Tech. Students learn through video lessons and take quizzes to capture their learning. There are games as well as teacher resources to access. The next slide will give you an overview of what BrainPOP is capable of doing within the classroom. There is no need to use the BrainPOP app because BrainPop Jr and BrainPop are both mobile friendly. BrainPOP ESL is coming next to Mobile! Click on the above Going Mobile link in order to see which features are enabled in the mobile environment. 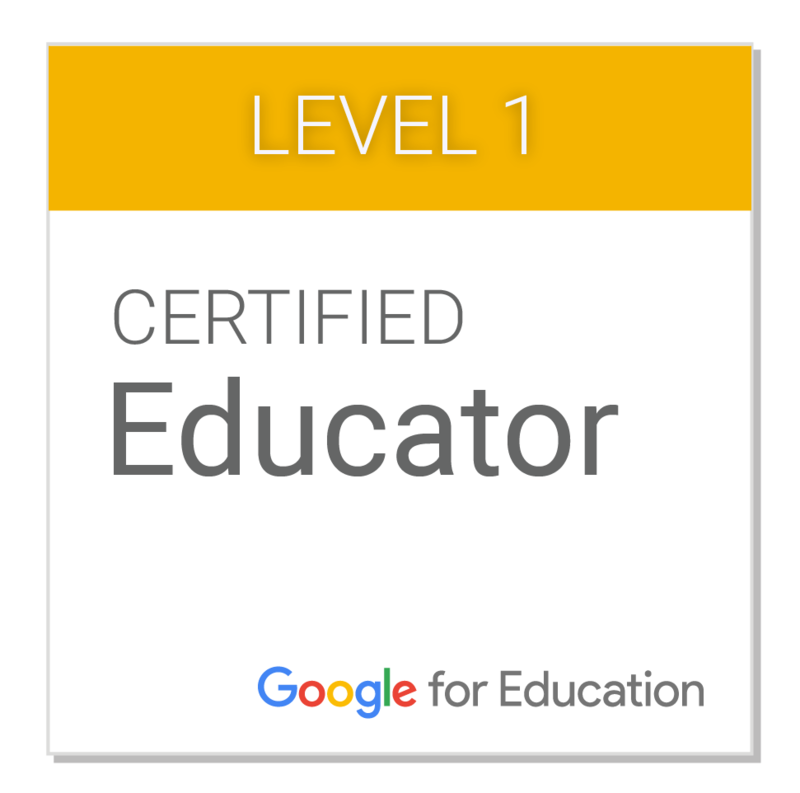 This entry was posted in Resources, Tech Tidbits, Uncategorized, Updates on September 20, 2017 by Mr. Geiman. Today I start another journey in my career as a teacher. For thirteen years I have spent August like all teachers do, setting up a classroom, organizing supplies, and reading up on all of my new students. This August, I am embarking on a new journey as an Instructional Technology Coach at Elanco School District. Teaching and technology have always been a passion of mine. I am excited to start this new role. I am working with the most amazing and talented group of K-6 teachers at three different elementary schools. I have come to learn that when something is a passion it doesn’t matter what role you take that passion doesn’t wane. For my former students if you are nervous about starting this year in a new grade or a new school Mr. Geiman is nervous right with you. Many of your teachers will be feeling the same way as well. With our common understanding, we will all get through this year with patience and perseverance. Just keep reminding yourself that the journey is a marathon, not a sprint. I can’t wait for this year to start and look forward to working with all of you. This entry was posted in Uncategorized on August 28, 2017 by Mr. Geiman. This webinar is co-sponsored by The Pennsylvania Council for International Education (PACIE). Join this webinar to learn how 4th grade teachers in Eastern Lancaster Elementary School District in rural Pennsylvania are taking their students around the world virtually using Google Expeditions and the Global Connections Framework to instill empathy, understanding, and deeper learning outcomes. Unbounded Classroom explores the potential of using cutting edge technology to remove the boundaries of the classroom without ever leaving the school building. Students interact and experience a variety of diverse cultures and geographic locations within their own classrooms and globally, via virtual reality. These experiences engage students with their peers, with the curriculum, and with the global community. This webinar will introduce the global connections framework and how to implement virtual reality in K-12 classrooms. Presenters are Mr. Adam Geiman and Mr. Drew Arena, 4th Grade Teachers, Blue Ball Elementary. Register by May 28, 2017 to guarantee your spot! This entry was posted in Uncategorized on May 19, 2017 by Mr. Geiman.